Are you sure this doesn't belong to a liverwort? The white seta, black capsule and the latter's shape make me think that this is not a moss. 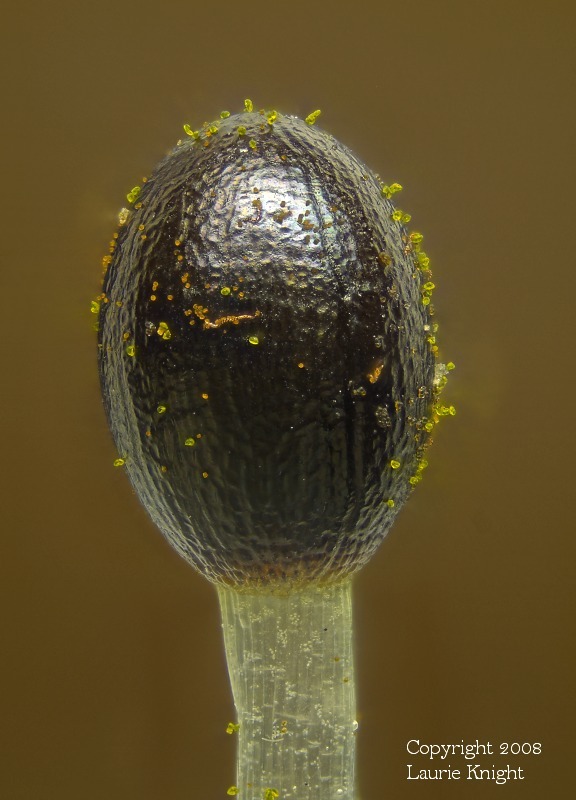 Unlike in mosses, a liverwort capsule matures to full size before the short-lived seta elongates, and it splits into four valves to release a mix of spores and elaters. In mosses the seta elongates while the capsule is still immature, and the latter develops an opening in the top, often with those peristome teeth you've captured so well in other shots. Sorry you are of course quite correct, I actually figured out this was probably a liverwort more recently but forgot to change the details here and probably on my website, will update now!